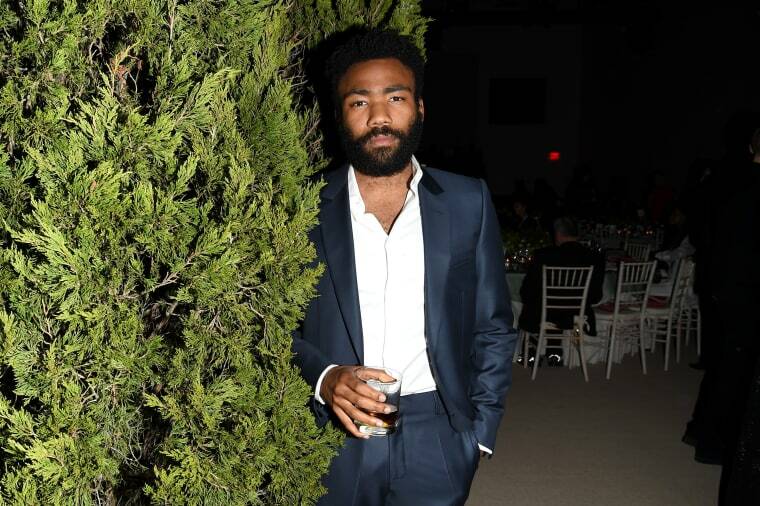 Ahead of its premiere, Glover discussed what went into the making of his upcoming TV show, Atlanta. Atlanta, a new FX show about rappers in the Georgia capital, created by and starring Donald Glover, will premiere on Tuesday, September 6. Ahead of the highly anticipated show's release, Glover (also known as Childish Gambino) sat down with New York Magazine's Rembert Browne. You should read the profile in full here, but we've rounded up a few standout quotes from the rapper and TV mogul in the making. 1. Atlanta is an opportunity to tell white people that they aren't masters of black culture. 2. It was the first TV job for director Hiro Murai, but that helped them make something unique. “Everybody kept asking, ‘Are you sure you want to do it with him?’ And I’m really glad, because when I’d ask him, ‘Is this normal for a show?’ he’d be like, ‘I have no idea, I don’t know.’ But that’s how we made something personal." 3. The show's writers worked out of Glover's crib, where he also worked on music. "The atmosphere was informal by design, and Glover asked the network if he could skip using an office. Instead, they worked in 'just this house in Hollywood called the Factory. We would just sit around and have conversations,' he explained. There, Glover would write during the day and make music at night." 4. Glover's not a huge fan of The Catcher In The Rye. 5. With his show, Glover seeks to preserve overlooked sections of black Atlanta life. 6. The show's not just about a single city in America. 7. He's come to terms with how he's perceived in the black community. 8. Glover looks up to Dave Chappelle. 9. He wants his show to be good, not comfort neoliberal sensibilities. Watch the trailer for Atlanta below. Check out our interview with Hiro Murai, and our coverage of the enduring influence and importance of Chappelle's Show.